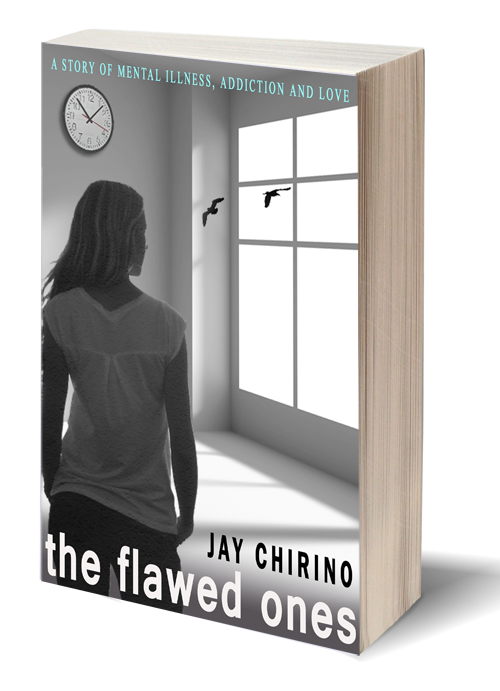 In this compelling novel, Jay Chirino channels his own struggles with depression and addiction, creating a universal story that is painfully relatable for those with similar issues, and eye-opening for the ones that haven't dealt with the challenges of mental illness. “The Flawed Ones” is a thorough examination of the struggles of mental illness, depression, addiction, and the effects they have on the human condition. Most importantly, it proves that physical and mental shortcomings do not necessarily define who we truly are inside- that the heart is, in fact, untouched by our "flaws", and that love will always prevail above all. “A lot of people describe depression as a void that swallows you whole and won’t let you feel anything at all. My depression consisted of immeasurable sadness that depleted any positive feeling or outlook for the future. It was a black hole that attracted and swallowed my reasons for being happy, the things that I enjoyed doing, the desire to do anything at all. I didn’t feel like dying, but I didn’t feel like living either. I was alive only because my lungs still breathed oxygen and my heart pumped blood through my veins. Little did I know at the time that a nine-year-old should not be feeling such an overwhelming emptiness, but I was, in ways that were almost impossible to accurately explain." "There was an intense silence that brush-stroke the scene of one of the most powerful moments that I have ever been a part of; the moment where all barriers are broken, the limitations of our minds and crippled bodies erased, leaving nothing but pure humanity, naked and transparent, fueled by the most primal instinct that connects us all: love"
Ready To Go On The Journey? Buy the Beautiful Paperback Version Or The Convenient Kindle Version Today At A Special Price! "My eyes welled up and a few tears painted lines on my face, this time not because I was feeling the sting of depression, or loneliness or fear, not because I was drowning in a sea of self-pity, thinking I was less than nothing. This time I cried because I saw the futility of lives that did not get a choice, of souls that were chained to their destiny with unbreakable links, of people who would never see the colors they deserved to see, who would never feel the love they deserved to feel, or live the lives they deserved to live. I saw them, and in them I saw me."